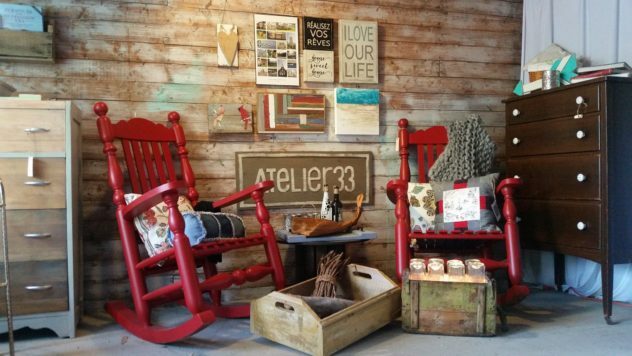 We are an independently-owned paint and decor store in Hudson, QC. We have great ideas, and artisans, contractors and designers all here to help you realize your dream project. With more services for the home than any other local shoppe, we truly are your one-stop-shop for all your decor needs! Come and enjoy a level of service you thought no longer existed and support your local community. We are open 7 days a week to serve you better. We are an independent Benjamin Moore retailer, and as such, have all the very best interior and exterior products available for you. As well, we have an extensive collection of fine stain, decorative paint, and finishes for any one of your varied project’s needs. With extensive collections, we at Centre Décor Hudson have all the specialty items you could possibly need or want to make your house a home. Lea searches for the finest fabric, wallpaper, tiles, counter tops, mosaics, blinds, curtains, fixtures and installation products to make every project easy. Coupled with the best installers, re-upholsterers, seamstresses, carpenters, plumbers, electricians, finishers, decorators, designers and painters and more, we’ve got all that you need. A wonderful part of Lea’s ultimate vision for the evolution of Centre Decor Hudson, ATELIER33 houses during the summer months our artisan collection, HUDSON33, formerly the CDHArtisan collection. Disappointed with the shear volume of run-of-the-mill decor products being offered by, well, everyone, Lea sought out local artisans to fill the niche. What better place to find those but in Hudson? Potters, painters, artists, knitters, crafters, woodworkers all enjoy space in Centre Decor Hudson.or Centre Decor Hudson, and 5 years in the making, the CDH Artisan Collection is a wonderful guild of local Hudson Artisans. Our services are really varied and encompass all you’ll need: seamstresses, re-upholsterers, installers, color matching, design services and contractor referrals among many more.